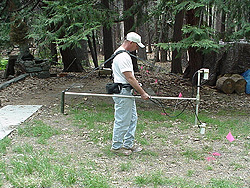 Surface geophysical methods can be used independently or integrated with other investigative methods such as test borings and other sampling programs for area investigations or site characterization. 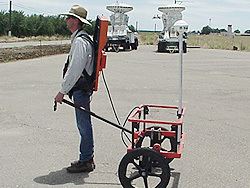 The various geophysical methods often provide subsurface information that cannot be obtained by other invasive methods. 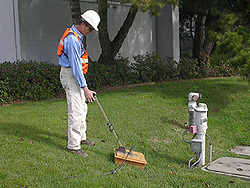 Additionally, the results can be used to plan or guide subsequent work including placement of boreholes, wells, exploratory shafts, or to avoid potential subsurface hazards. A major advantage over other investigative techniques is rapid data acquisition with little or no site disturbance.